Change of any form can be tumultuous. Whether you experience change in the form of changing jobs; relocating to a new city; changing a partner in your relationship; changing your relationship status from single to married; or vice versa – change happens for a reason and that reason is growth. At the point of change – you will encounter people who support the change and people who do not. Depending on how many supporters or challengers you have around you – your decision to change or not, could be swayed by outside opinion. You have the ability to change. You have attracted this change in your life at this particular time to facilitate your growth. This is why it is so important for you to listen to your own voice. Your self-belief in what you can achieve and what your next action step need to be – has to be greater than what other people think you can achieve. Your inner voice is there to guide it – listen to it and follow its advice. 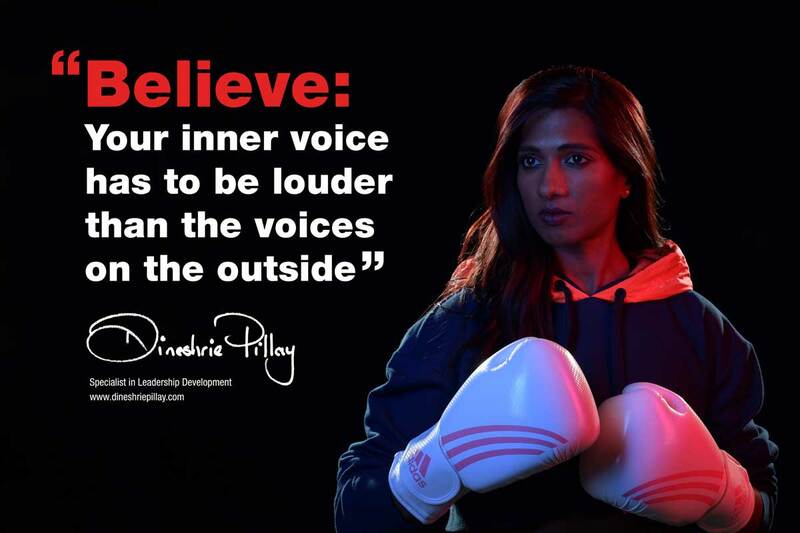 Dineshrie Pillay is the author of, The Contract With Yourself, a self-help book to having high self-esteem, confidence and life purpose. Dineshrie Pillay is the founder & business owner of Neospectives Consulting.